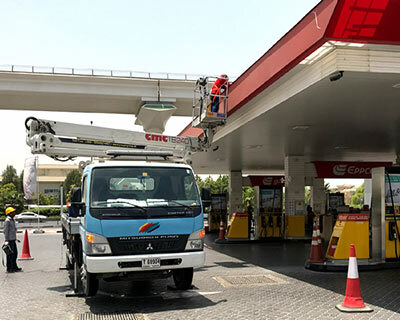 Joseph General Maintenance delivers an impressive response to all sign maintenance works across UAE, backed by a dedicated customer-focused service operation. As a national service provider with unrivalled levels of coverage, the centralized helpdesk works to create a focal point of contact for ease of operation. Each new client is provided with a dedicated account manager who will ensure all sign maintenance requirements and needs are met, guaranteeing a quality service every time. 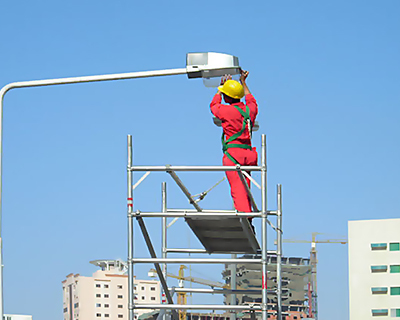 Preventive Maintenance of External signboards this includes replacing of faulty LED lights and transformer electrical wirings, in order to keep the signboard illuminated during the period of contract. Cleaning of the letters, logos and Arabic letters on Aluminum panel of the signboard using 3M standard cleaning materials. Cleaning will be carried out once in every three months. Attending to breakdown calls within designated time depending upon the nature of urgency. Supply and Erection of the scaffolding for cleaning and maintenance by JGM. All Safety accessories and equipment measures during the maintenance provided by JGM. Timer adjustment to be done based on seasons. All materials to be used for the in the signage repair and maintenance will be same or similar as per existing materials in the signage to be provided by JGM. 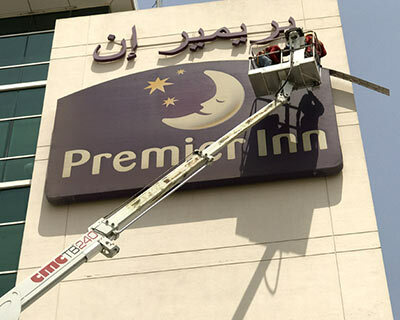 Looking for sign maintenance in the Middle East? We're just a call or email away!